The 20th of 21 books I am reading to complete the Global Reading Challenge is set in Brazil which completes the South American leg of my virtual tour. There is only the wildcard book to go before I can claim my extreme reader badge. At his 29th birthday party Garbiel Alzira is told by a psychic that by his next birthday he will have killed someone. As the date of Gabriel’s birthday looms he becomes increasingly agitated at the thought the prediction will come true and so he begins to trawl Rio de Janeiro looking for the psychic and also asks the police, in the form of Inspector Espinoza in the Copacabana district of the city, to investigate the murder which has yet to be committed. Eventually someone connected to Gabriel does die but there’s no evidence that the person was even murdered let alone by Gabriel. Has a crime been committed and if so was Gabriel responsible? One of the things I have enjoyed most about reading so widely for this challenge is discovering how the diversity of narrative traditions from different parts of the globe are being woven into the crime fiction genre. In terms of crime fiction as the English-writing/speaking world knows it, this book would barely register on the genre’s scale, owing far more to the Latin American literary, often poetic narrative style though there are only fleeting glimpses (thankfully for me) of the magical realism that has been prevalent in other Latin American books I’ve read for this challenge. It doesn’t seem to feel the need to finish all the threads very neatly and much more of the ending is left up to the reader to imagine than would be the case with a more traditional procedural. The characters are depicted in an observational style but there is depth to them too. When we’re introduced to Gabriel’s widowed mother, who he lives with, she is sitting in her ground floor apartment’s window watching for her son to come down the street as she does every single day and she almost hyperventilates when he is 40 minutes late. She is making herself a cushion to aid in her window-watching and has fashioned herself a ladder to help her climb up to her perch which shows, in words other authors would take two chapters to describe while Garcia-Roza takes about a page, how obsessed she is with her son and how pivotal her relationship with him is to her daily life. Espinoza is almost her exact opposite being fairly cynical, having no close family living in the country and not being remotely interested in domestic pursuits. He is however very funny and does have some nice relationships including one with his 13-year old neighbour who he allows to convince him to acquire a puppy. With all the characters Garcia-Roza kept me wondering whether they are who they appear to be on first acquaintance and I loved that. In fact the least successful person in the book was the central character of Gabriel who was a little more predictable from my point of view than the others. Southwesterly wind really is quite a simple story but it captivated me so completely I managed to read the last half of it while at the hairdresser’s (one of the few places I normally don’t bother to try and read due to the cacophony created by the blaring radio, shouted conversations and duelling hairdryers). I really had no idea what would come next but I had a rather desperate need to find out and the writing style lent itself to the book being quickly devoured. It is one of those crime fiction novels that I can imagine recommending to all sorts of readers, not just fellow mystery lovers, as it is first and foremost an intriguing yarn about intriguing people. It just happens to have a crime at its core, or the possibility of one at any rate. 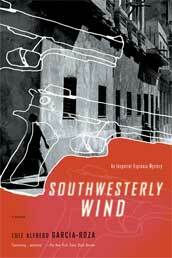 I haven’t been able to find much in the way of other reviews of this one but Glen at International Noir Fiction provides some thoughts on the entire series including Southwesterly Wind. 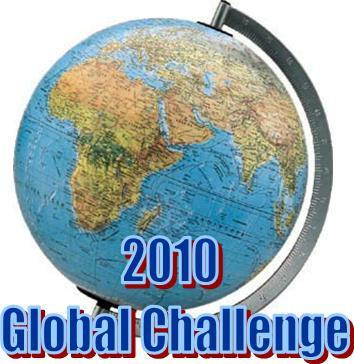 This entry was posted in book review, Brazil, Global Reading Challenge 2010, Luiz Alfredo Garcia-Roza. Bookmark the permalink. What a great review! A real rave! Enough to convince me to read this book for the second book set in South America in my informal global challenge. It sounds quite good, but, er, weren’t you saying just yesterday that you were going to read it? It’s amazing how fast these pages fly; reading at the hairdresser’s obviously helped. I’m always amazed at how quickly books are read around the blogosphere of mystery fans. An excellent review Bernadette. I’m glad you like it and an excellent progress on the Global Reading Challenge. Bernadette – Oh, I”m so glad you liked this! As you say, its narrative style is quite different from a lot of other crime fiction, but isn’t it compelling? I was very drawn into it, myself. And you’re right; it’s a quick read as these things go. This is a terrific review of what I found to be a really engaging book.